← How will you cope through grief? In her article of May 11th, about the Tori Stafford verdict, Christie Blatchford writes: “To borrow from the imitable Canadian lyricist and singer Leonard Cohen, it may have been a cold and broken Hallelujah, but it was a Hallelujah nonetheless”. Could anything be more apt? 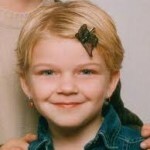 For those of you not in Canada, a beautiful little 8 year old girl named Victoria (Tori) Stafford was abducted, sexually assaulted and murdered. The jury came back with a guilty verdict last night on all counts. As James and I watched the news when the verdict was being handed down, neither of us had any doubts that the jury would convict. But we have a pretty good idea what’s awaiting those family members this morning. The jubilation for winning the biggest fight of their lives will be over, and there will be nothingness, at least for awhile. After weeks of adrenalin and high emotion, the let down afterwards, where the realization that you really didn’t win anything begins to sink in. That low is so much more pronounced than all the other lows and one is left as if drifting in space, without direction or a reason to live. A trial give us that reason, something to fight for, it’s own energy to help one out of bed in the morning. The city is alive in this collective fight and the support is phenomenal. Very soon though, most, and rightly so, will return to their normal lives leaving the family to find a way to rebuild. 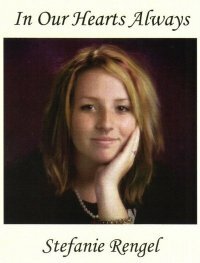 Now is the time that Tori’s family needs the most amount of support. They will need help to properly absorb the horrors they faced in the courtroom, the images that will haunt them for the rest of their lives, the guilt, the anxiety and the depth of their loss. The sentencing hearing is on Tuesday, and I wish them some comfort finally being able to speak, but it is all coming to an end, an end without Victoria. There is hope, of course, surely they’ll find a way to carry on. There are thousands of us who have been there and come out the other end to smile again, but today, not to mention tomorrow (Mother’s Day) and the next few will be some of the most difficult. My heart is with them this morning. This entry was posted in anxiety, Criminal court, The Law, The Media and tagged anxiety, bereaved parents, Christie Blatchford, death of a child, grief, guilt, refocusing, Victoria Stafford. Bookmark the permalink. 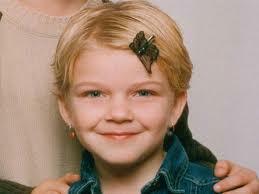 I have spent all day off and on thinking about that little sweet girl so trusting. To the two most evil individuals around her that day. My heart sinks thinking of her in the moments when she realized she was in the wrong situations and I am angered beyond anger at how a human mind can so disgrace this world in their evilness. To me personally I think the punishment for both of them should be something unfortunately our government doesn’t agree with me. Many a times tears came to me eyes and then in the same turn I felt so sick at it all. I heart hurts so much for Tori and her family. It truly hurts us all but yes life does go on but we all truly don’t forget. When ever something so sick as this happens we remember how each and every lost one was taken in a sick and very disturb way and our hurts go to the ones that remain and we send our love to them.